Falls from bed are a major cause of injury in care home and community care environments, and while low beds and side rails help to reduce the risk, more help is often beneficial. The Sidhil Premium Crash Mattress is designed to be placed beside a bed, and is made with dense foam to provide maximum impact absorption for fallen patients. Fully foldable and with carry handles for easy transportation, the mattress is suitable for travelling and protection wherever required. While side rails and low beds can greatly reduce risk of falls, it's always best to be prepared in the event that one may occur. 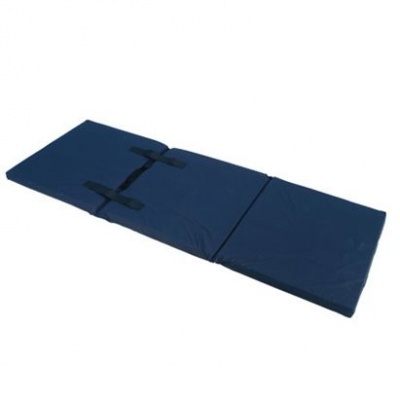 This Crash Mattress is best when placed directly beside a low bed, helping to cushion any falls with dense foam. As this mattress is supplied with a protective cover and carry handles, it makes it as versatile as possible to cater to a number of different medical environments. Please be advised that the Sidhil Premium Crash Mattress is usually delivered within 1 week of your order being placed. We would advise you to consider this delivery estimation before placing your order. For more information, please contact our Customer Care Team at 020 7501 0592.